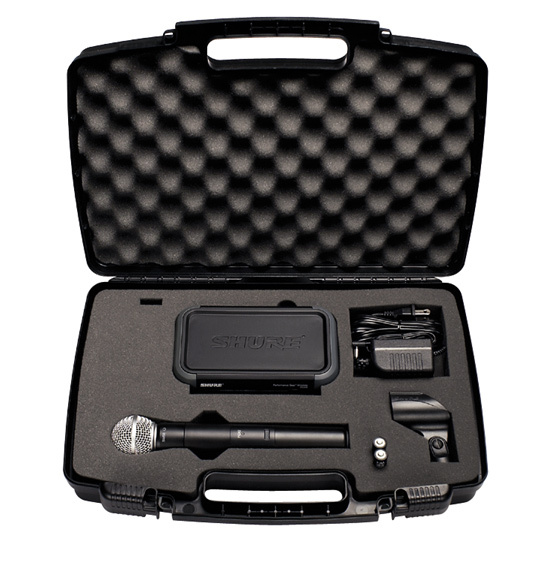 SLX1 beltpack for Lapel, Instrument or Headset mic. 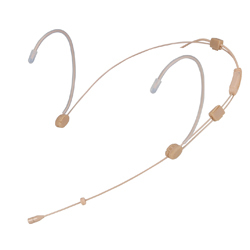 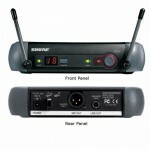 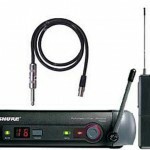 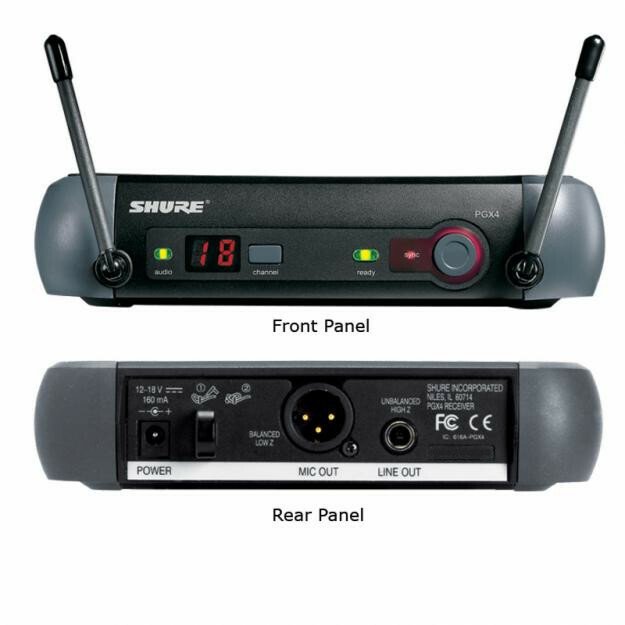 Shure UHF frequency agile systems with Hand-held, Instrument, Lapel or Head-set Wireless Microphone. 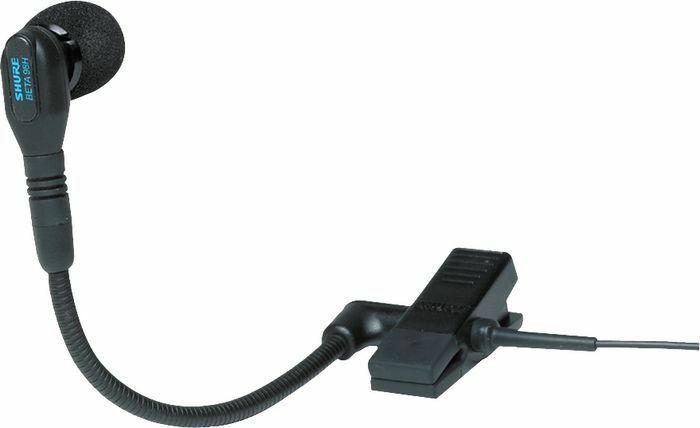 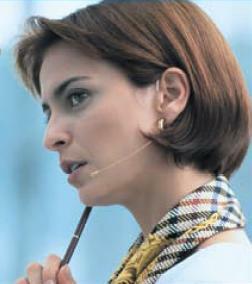 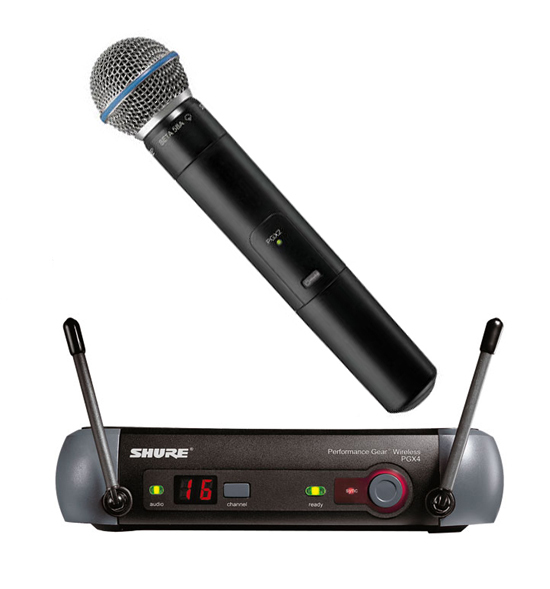 The Shure PGX range of cordless microphones is very reliable and easy to use. 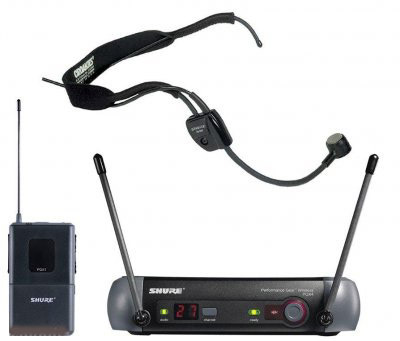 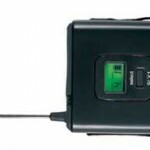 Each system includes Carry-case, power-supply and connecting leads for the Receiver and batteries for the Transmitter/Beltpack. 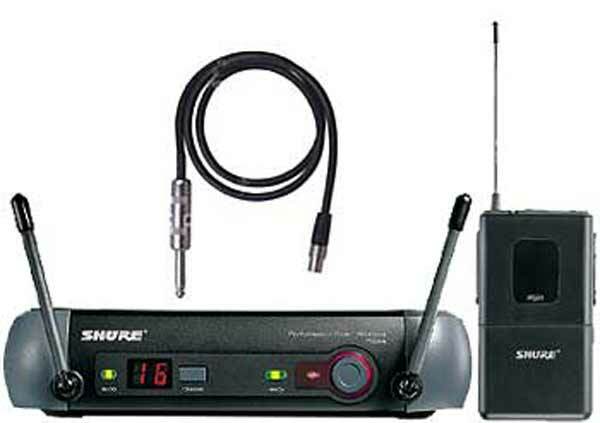 We also have the Shure SLX range of cordless microphones. 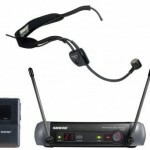 These are more versatile with various antenna options for a greater range, battery indicator and backlit display on both microphone and receiver. 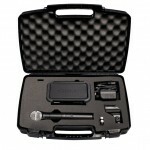 WA302 instrument Beltpack to suit guitar, bass guitar or any instrument with a pick-up or jack output. 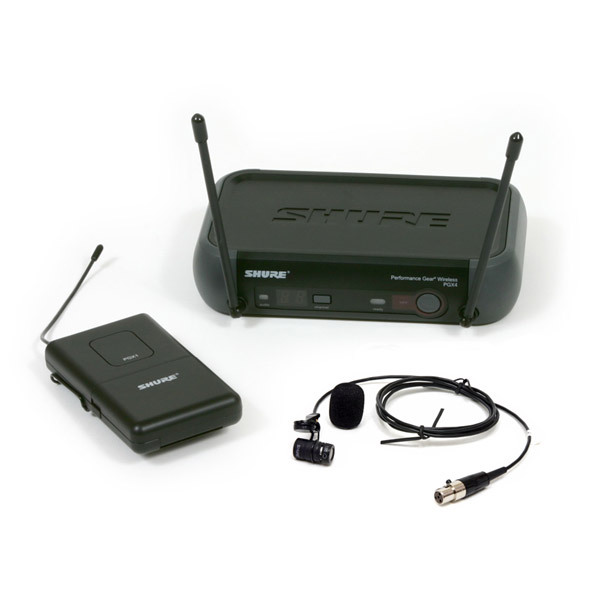 If you need a complete compact system, (Wireless Microphone with PA Speaker) please refer to our Portable PA Systems page. 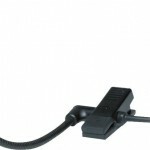 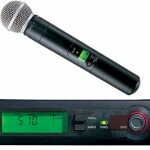 These Wireless microphones can also be added to any of our other PA systems. 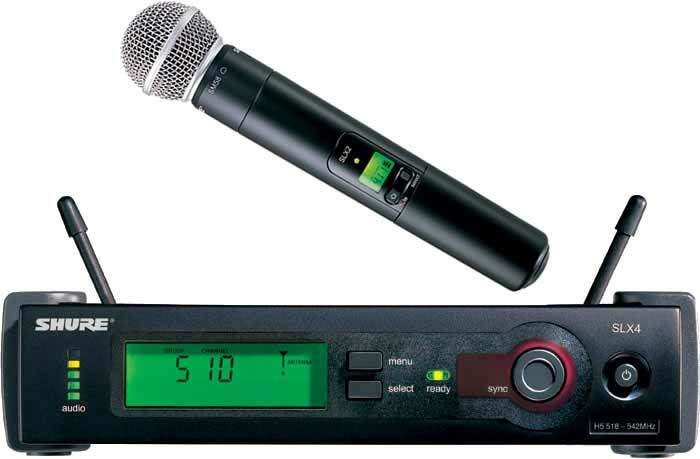 Please email bssound@bigpond.com to get a detailed quote or to find out about any other audio equipment hire.